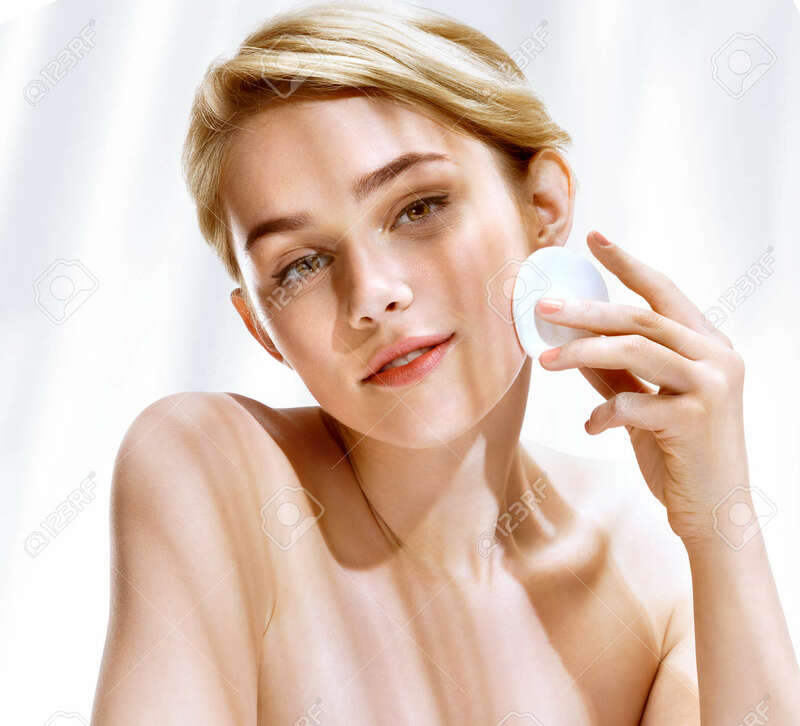 Young Woman Cleaning Skin By Cotton Pad. Photo Of Attractive.. Stock Photo, Picture And Royalty Free Image. Image 59843184.